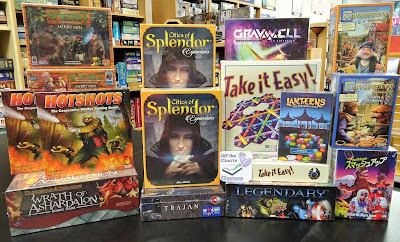 From Fireside Games is Hotshots, the latest in their line of cooperative board games. 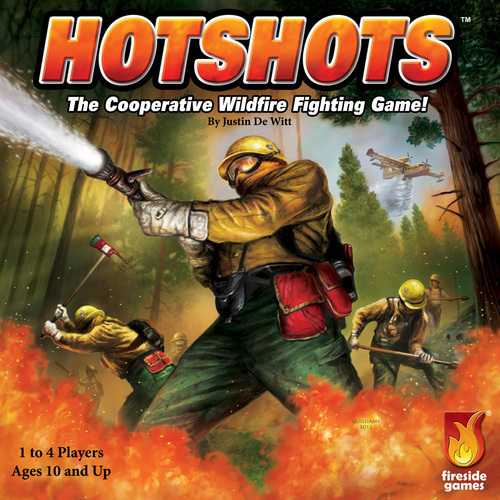 Hotshots is for 1 to 4 players and plays in about an hour. You and your friends are crew of Hotshot fire fighters call to fight a raging forest fire. 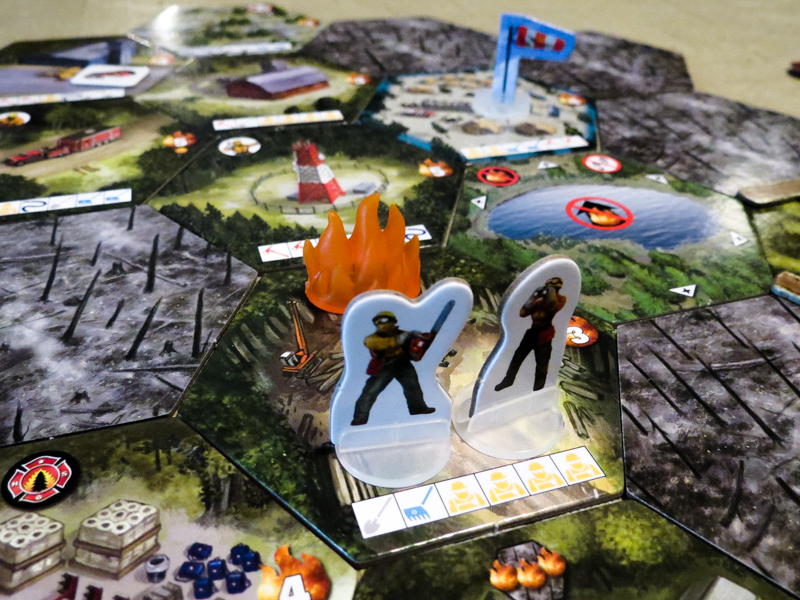 You will utilize your special abilities, good teamwork, and dice-rolling to contain and extinguish the fire to win the game. 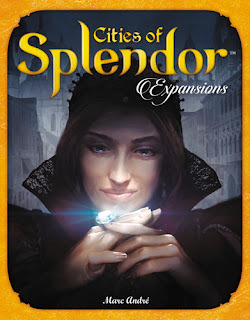 Cities of Splendor is the first expansion to the base game Splendor, a set collection game with multiple layers of sets to collect, an easy rule set, quick but deep tactical game play and great components. 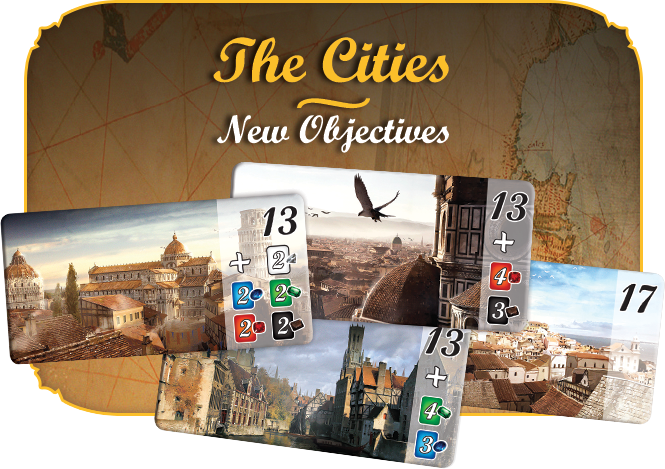 The Cities - New double-sided objective tiles that replace the Noble tiles. The requirements to obtaine combine points and/or development cards. And you must satisfy one in order to win the game. 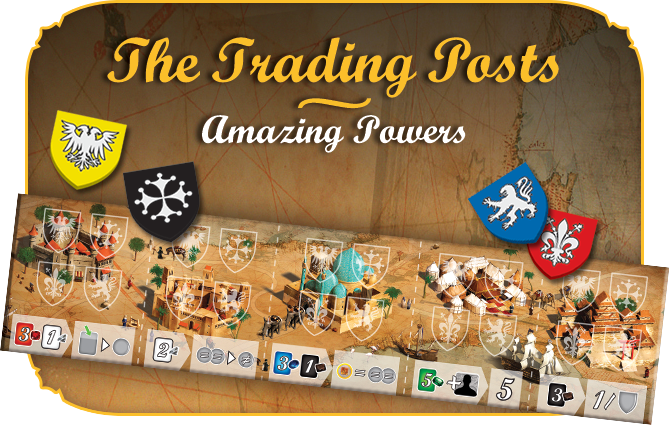 The Trading Posts - Adds to the engine-building aspect with the Route to the Orient board. Unlock special player powers on the board by collecting the appropriate development cards. 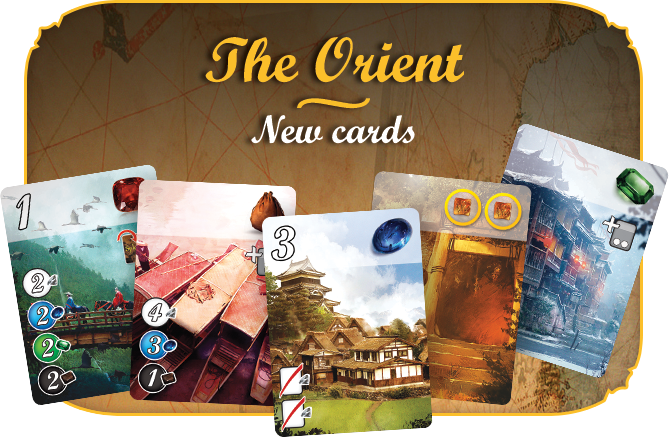 The Orient - Adds 30 Orient development cards that offer unique and unexpected abilities, such as copying the gem bonus of another development card or reserving a Noble tile (when you're not including The Cities option). 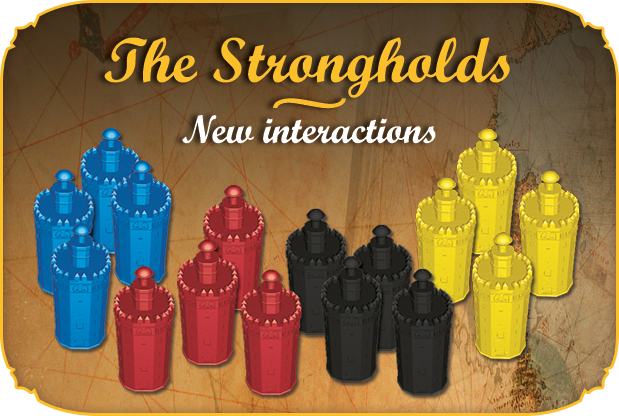 The Strongholds - Speed up ;your development by building strongholds and by limiting your opponent's progresses. 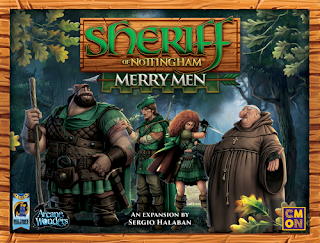 Sheriff Of Nottingham: Merry Men is an expansion to the base game Sheriff Of Nottingham, an exciting card game of bluffing, bribery and smuggling. 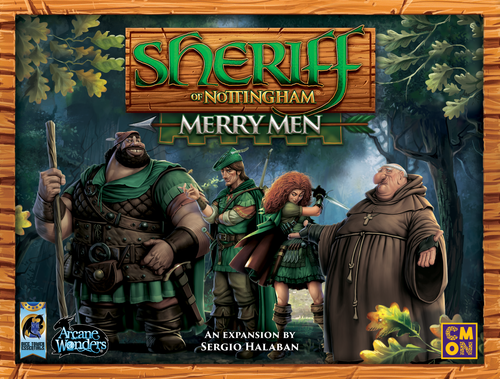 The Merry Men expansion is modular in nature, allowing players to add some, or all of the extra content to their games of Sheriff Of Nottingham. Modules include: Laws, Special Orders, Black Market, Merry Men, and a 6th Player expansion. 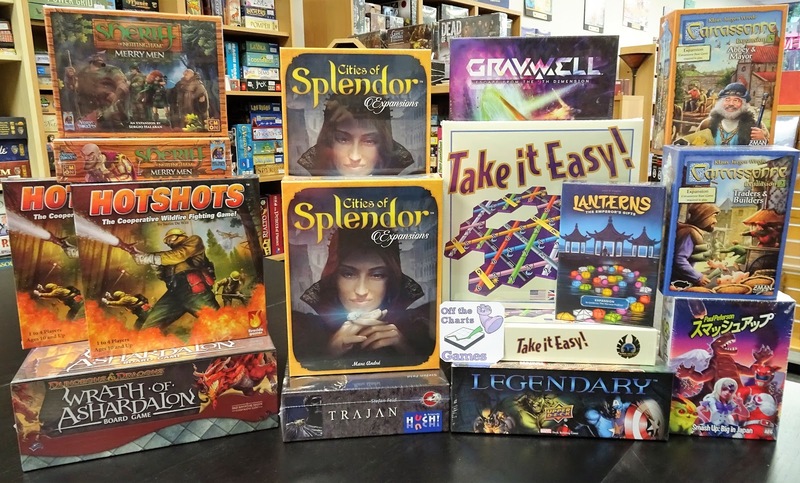 Watch this GenCon preview video for a peek at the Merry Men expansion.